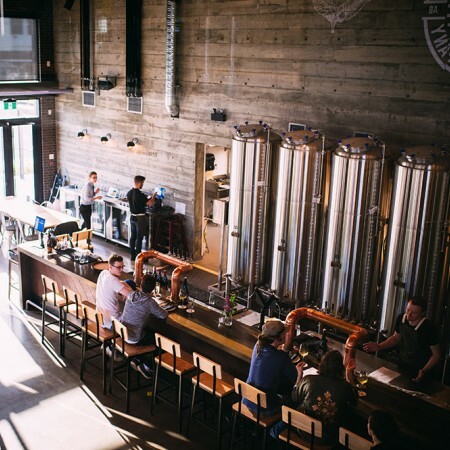 EDMONTON, AB – Two-and-a-half months after launching in soft opening mode, Edmonton brewery and restaurant Biera by Blind Enthusiasm has announced that it will be holding its official Grand Opening this weekend (September 22nd-24th). Located in the Ritchie Market complex at the corner of 76 Avenue and 96 Street – which will also be marking its own Grand Opening on Saturday – Biera will be celebrating the weekend with the launch of growler fills and merchandise sales, a special cask tapping on Friday at 4:00 PM, and a ribbon cutting and prize giveaways on Saturday in conjunction with the Ritchie Market launch. For more details, see the full announcement from the Blind Enthusiasm newsletter.